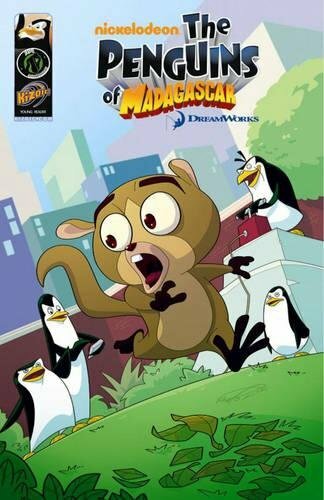 Collects issues #1 and #2 of the Penguins of Madagascar ongoing series! In "Operation: Weakest Link", the Penguins face perhaps their greatest challenge...being torn apart! Skipper's new training exercise pairs each of the four Penguins with a DIFFERENT resident of the New York Zoo, in a challenge to see who can work best with one of those "other" animals in a capture the flag contest! Can the Penguins prove greater than the sum of their parts? And, in "This Is A Man's World", the Penguins send Private out on an important mission for the key ingredient for an upcoming caper, but when he hasn't returned a day later, they begin to worry. Upon investigating, they discover that Private has gone native with the humans! Also includes the stories "Rico's Bad Day", and "Subway Shenanigans"!